We have been in business for 30 years, with a goal of providing proficient services in the Residential sector. It is essential to establish a relationship of trust with our customers by providing transparency, diligence, reliability and value pricing. No challenge is too big or too small for our team. Call us today for a free no obligation quote! 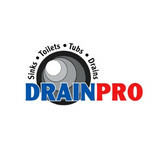 DRAINPRO knows Ottawa plumbing. Unlike many of our competitors, we’re not a chain. We deliver local service from our local offices on Merivale Road. Our fleet of trucks is always ready to serve your needs, no matter where you live in the Nation’s Capital. 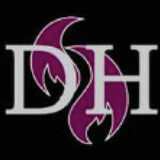 We are a locally owned and operated company with a passion for helping our customers maintain healthy & comfortable homes for their families. Our experienced and highly trained, friendly staff are at your service to provide you with the best solutions for your home comfort and maintenance. We have experienced technicians on-call 24/7 because no one decides when they have a plumbing or heating problem. From routine maintenance to burst pipes, we’re here to help. 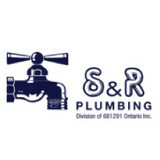 Serving the Ottawa area for over 44 years in the plumbing and heating industry. Call Ted today to schedule an estimate! Thomas A. Pegg Plumbing and Heating, serving Ottawa and surrounding areas, has been in business since 1966. Our skilled Plumbing Contractors are proud to offer full plumbing services. We are dedicated to the absolute satisfaction of each and every customer that we serve. Our team of fully trained and qualified Plumbing Contractors works hard to stay ahead of industry advancements and to keep up with the latest technology and products. Call today for all of your plumbing needs! Chammas Plumbing is a locally owned and operated company that provides fast, professional plumbing repairs and installations for residential and commercial customers. We offer a full range of plumbing services, from unclogging drains to complete kitchen and bathroom renovations. We use and recommend only the highest quality products from trusted manufacturers and all of our completed work is backed by a 90-day warranty on parts and labour (7-day warranty for drain cleaning; if drain is too damaged the warranty might be void). At Chammas Plumbing we understand that plumbing problems don’t always occur during business hours, so we offer emergency plumbing services in the evening and on weekends. When you need an experienced reliable plumber in Ottawa, call the experts at Chammas Plumbing. Our Services Johnny's Plumbing offers a variety of services to meet any of your plumbing needs. We do any plumbing or drain repairs, including renovations, installations and more! We also specialize in commercial building repairs and renovations. Bathrooms Johnny's Plumbing provides any type of bathroom repairs, replacements, general plumbing and maintenance in order to ensure your safety, and a healthy bathroom! Renovations We are well known for our flawless renovations for bathrooms, kitchens and more! Our expertise offers quality service in record timing. Installations We can install any type of drains, fixtures, water lines and every other plumbing related duties. Commercial Not only do we provide residential services but we also specialize in commerical buildings such as restaurants, offices, any industries and multi-family residential areas. Johnny's Plumbing is very well known for doing work in commerical and industrial facilities. We pride ourselves in our honesty and integrity. We are fully trained, fully licensed and fully insured plumbing professionals. Faucet Fix has specialized in household plumbing since 1989. This year, Faucet Fix will repair or replace almost 6,000 faucets, toilets, sinks and drains in customers’ homes and apartments. We can advise you on the features of all major brands. We can also tell you when it makes sense to service or replace any fixture in your home. Our business is built on this expertise and we’re persistent on the service standards that our customers have come to expect: personal, knowledgeable, reliable, prompt, affordable and trustworthy. We stand behind this promise with a full, two-year warranty on all service work. If we miss something, we correct it promptly and at no further cost. Contact us today. Faucet Fix®. The Repair and Replacement Experts®. Need to find a reliable plumber quickly? Canada Plumbing is a Ottawa plumbing company you can trust 24/7 to ensure the safety of your home or business. What’s more, when you need plumbing services in Ottawa, ON, we respond right away to help you avert serious plumbing problems later. Count on us to be your plumbing and sewer experts in the greater Ottawa area. We offer emergency plumbing response day or night with the help of our 24-hour plumbers. We have been trusted by Ottawa residents and commercial businesses, schools, restaurants, medical centers, and government buildings to ensure their water keeps flowing, leak-free. Services après-sinistres 24/7 Notre entreprise intervient 24h/24, 7j/7 pour mettre en place toutes les mesures d’urgence nécessaires. Plomberie Notre entreprise met en œuvre l’ensemble des travaux de plomberie nécessaires, depuis le réseau de tuyauterie pour l’arrivée et l’évacuation d’eau, en passant par les installations sanitaires. Rénovation Nos experts vous conseilleront tout au long de vos travaux de rénovation pour que votre projet de rénovation soit réellement unique. Huntley Plumbing Inc. is a locally owned and operated business proudly serving Ottawa and the surrounding areas. Established in 1994, we have extensive experience in plumbing and radiant floor heating installations and repairs. Our latest tools and technologies enable us to respond to all residential and commercial requirements. At Huntley Plumbing Inc., we are committed to providing quality service while achieving complete customer satisfaction. We place emphasis on timeliness and fair pricing while never compromising our customer service standards. By choosing Huntley Plumbing Inc. you are guaranteeing your needs are met by fully licensed, insured, and WSIB compliant professionals. We are also a proud member of the Better Business Bureau. With over 40 years of plumbing industry experience, the professionals at Plumbing Now have been fulfilling the plumbing, heating, and drain cleaning needs of the greater Ottawa area. Our commitment to superior quality plumbing is only matched by our drive to complete every job to your 100% satisfaction. You can call us any time, day or night, 24/7, and speak live to our staff to answer your questions and schedule service. We offer senior discounts and military discounts. We are a 24 Hours Residential And Commercial Plumbing and Heating Service company in Gloucester. Our staff of very knowledgeable technicians is here to help with your plumbing and heating needs. Feel free to give us a call with any service questions!